Sunderland Harrier Steve Rankin, who was among the prizes. The penultimate North Eastern Harrier League takes place at Thornley Hall Farm, Peterlee on Saturday. Sunderland Harriers, who have both their men’s and women’s teams in the First Division, look likely to finish around mid-table in both leagues. The senior men are lying in fourth place in the 10 strong league, while the women are sixth. The senior men will have the inform Michael Barker and Steve Rankin at the helm, both running from the medium pack in the six-mile handicap race. League table: 1 Morpeth 5 points, 2 Tyne Bridge 11, 3 Durham City 17, 4 Sunderland Harriers 20, 5 Heaton 20, 6 Gateshead 21, 7 Elvet Striders 27, 8 Gosforth 31, 9 Wallsend 33, 10 Jarrow and Hebburn 35. The Sunderland’s women’s team will be relying on Alice Smith, Nikki Woodward, Vikki Cotton, Nicole Hufton and Maria Davis. League table: 1 Gateshead 13 points, 2 Heaton 16, 3 North Shields 16, 4 Tynedale 17, 5 Morpeth 18, 6 Sunderland Harriers 22, 7 Elvet Striders 23, 8 South Shields 26, 9 Tyne Bridge 29, 10 Alnwick 40. 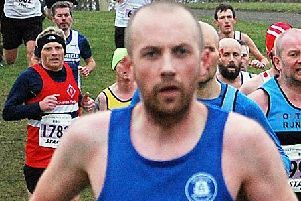 The Sunderland Harriers Cross Country Grand Prix is reaching its conclusion with only three events to go. 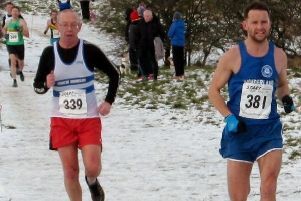 After Saturday comes the National Cross Country Championships at Harewood House, Leeds, on Saturday, February 23, followed by the Alnwick Harrier League on March 2, that brings the competition to an end. Following the Northern Cross Country Championships there have been changes at the top of the table. Paul Redman leads with 32pts followed by Alice Smith (31), Darren Stoker moves into third on 28pts, Jenna Wilkinson jumps to fourth (27) and Steve Rankin comes in at fifth (27) and is among the prizes. Judith Thirlwell with 23pts, Dave Lash (21), Alan McManus (21), Dale Wilkinson (21), all still have a chance of appearing in the prizes. Thornley Hall Farm is located off the A181 road. The post code is DH6 3LY. There is no offsite parking. Do not park on the main road. Any runner found to be in a vehicle parked on the main road will be disqualified from the race. Parking is £2 per vehicle and is on a field within the farm. Follow the directions of the parking marshals. Sunderland Harrier Kevin Jeffress finished sixth in the Torremolinos Half Marathon in 1.14.58. Jeffress said: “It was a fast first 5km downhill and I settled in with a good group of Spanish runners. “I stuck with the pack, but it was very windy along the promenade, where the course levelled off. “Unfortunately, the downhill start meant for a real tough four mile climb to the finish at Torremolinos Stadium. The Northern Schools’ Inter County Cross Country Championships saw Durham finish last of four competing Counties at Temple Park, South Shields. Cumbria won on 584pts, North Yorkshire were second (614), Northumberland finished third (866) and Durham were fourth (919). But Durham did provide the winners of non-counting Minor Boys and Minor Girls’ event in Alex Bower and Charlotte Dillon. The leading Durham result was the team win by the Intermediate Girls. The team counters were: Emily Chong, third, Nicole Phillips, sixth, Cecilia Reid, seventh, Amy Leonard, 11th, Tess Graham, 13th and Rebecca Wren, 15th. Easington’s Dillon Revell, in 15th, was the leading Durham runner in the Junior Boys. The Junior Girls had Lucy Scothern, ninth, and Kate Francis, 10th. Will Bellamy was ninth Inter Boy and the Senior Girls saw Catherine Roberts finish sixth, Eva Hardie, seventh, Sophie Robson, eighth and Sarah Knight, 13th.